Big Smo appearing LIVE at the Virginia Street Brewhouse for ONE NIGHT ONLY on….you ready for this? That’s right! 4/20 with Big Smo in Reno, Nv. The party doesn’t get more live than that! Tickets on Sale Jan. 22nd! That success has been as hard won as it is impressive. What began as two friends—Smo and Orig the DJ—experimenting with samples, beats and lyrics in a makeshift home studio has turned into four independent CDs and hundreds of tour stops before over-the-top crowds from mud parks in Florida to night clubs in Vegas. He and his band—Orig, vocalists Alexander King and Haden Carpenter, guitarist Travis Tidwell, bassist Eric Flores and drummer Ryan Peel—have opened for Brantley Gilbert, appeared at 2012’s Bamajam on a bill with Kid Rock and Jamey Johnson, and rocked the crowd at 2013’s CMA Music Fest in Nashville. 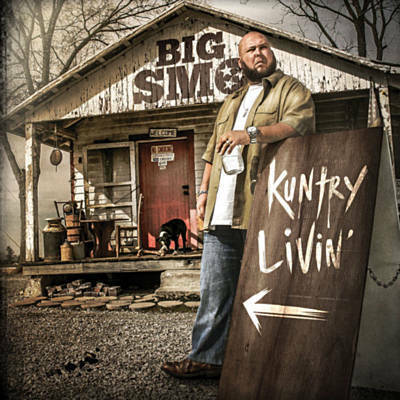 Perhaps most impressive, though, has been the phenomenal success of their breakthrough indy hit, “Kickin’ It In Tennessee.” Its video, a slice of real life shot on a shoestring at Big Smo’s 32-acre Middle Tennessee farm, has earned well over five million YouTube hits. Now, with the release of his major-label debut, Kuntry Livin’, the man known as the Boss of the Sticks is poised to take it all up a very big notch.